"'Dear Christine' (a tribute to Christine Keeler)"
My practice is focused primarily on transforming paint into something that can carry an emotional resonance. Most of my work is portraiture, but I also paint landscapes and still life. 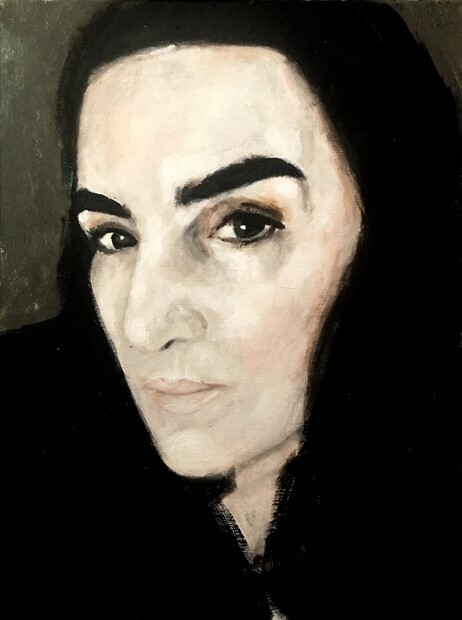 My subject matter includes the exploration of the polarities which are intrinsic in the qualities which make us human and, particularly, where these points intersect and become complimentary. Such polarities create a tension and an energy, and the chance of resolution. This is what interests me as a painter. When painting landscapes, I look for vibrance and a 'life force' beyond the surface and how the interaction of elements can combine in a way which becomes holistic. My landscapes could be said to be nostalgic. I yearn for a sense of place. Transcendence is important to my practice. I like to explore ideas of beauty, which I see as a kind of 'purity', along with sexuality and glamour. What interests me about such themes is how they are used to overstep the mundane environment and the contingency of life. I especially like to paint women and I view the female body as somehow supernatural. The women I paint are often sphinx-like or masked — their beauty a riddle. I'm interested in how people organise different frameworks of belief, be this political, spiritual, or philosophical. I find people of conviction compelling to paint (whilst not necessarily being in agreement with their ideas); radical minds go beyond the mere individual, just as beauty does. I'm very attracted to this, as well as to the idea of a 'pure motive'. 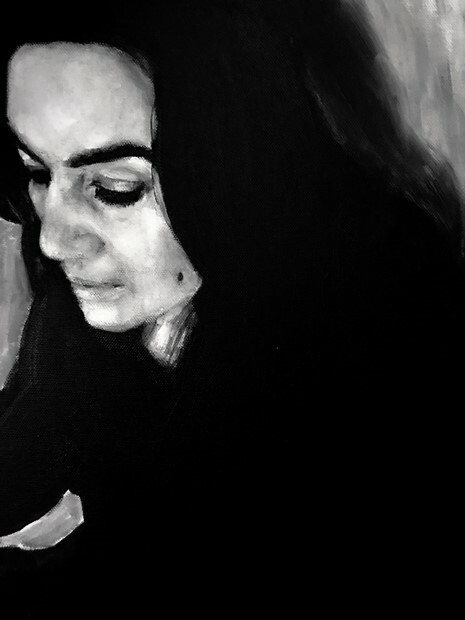 I am a London-based painter, originally from the north east. 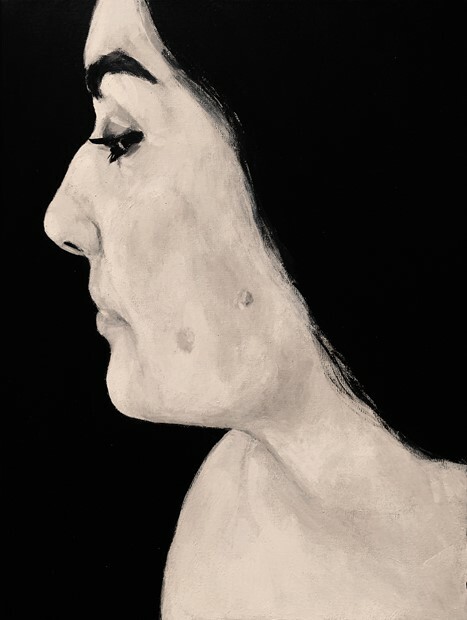 I am an elected Fellow of the Royal Society of Arts and a member of British Women Artists. 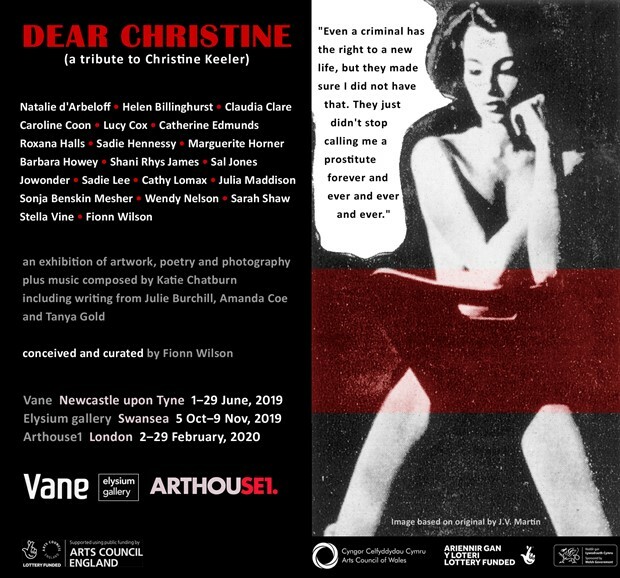 I am currently curating (and painting for) an exhibition of artists around the subject of sixties icon Christine Keeler and have recently painted for and curated an exhibition of women artists examining sexuality/sensuality via self portraiture. In 2016, I was selected for the Royal Society of British Artists open exhibition, the Royal Scottish Academy open exhibition, the Enniskillen Visual Arts open and the National Open Art Finalists Exhibition. 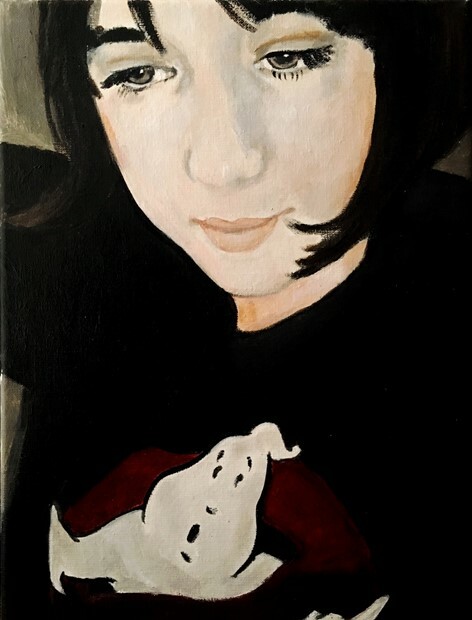 My paintings Marilyn (angel of light) (2015) and Christine Keeler with Her Cat (2017) form part of the Priseman Seabrook collection of 21st Century British Painting, the only art collection dedicated to painting produced in Britain after the year 2000. Christine (2) (2017) is part of the public collection of Yantai Art Museum, China. Two of my portraits of composer Gunnar Berg form part of the collection of the Museum of National History, Denmark. I am currently painting a series of portraits of Labour MP Dennis Skinner, and political activist, historian and writer Tariq Ali. My portrait of Dennis, along with a portrait of the former general secretary of the RMT Bob Crow, forms part of the public collection of the Marx Memorial Library. I was selected for the 2017 The Discerning Eye, at Mall Galleries and was represented in a four art-museum tour of China as part of Contemporary Masters of Britain (80 works from the Priseman Seabrook Collection) from July 2017 to Feb 2018. My work is held in private collections in Europe, the US, Russia, Australia and Canada. Southgate Platform forms part of the private collection of Guy Marriott, the Secretary of the Friends of the London Transport Museum. Oscar Wilde Loves the Moon forms part of the private collection of writer and actor Stephen Fry.